Waves4Power delivers green energy solutions by generating affordable electric power from ocean waves. This power is free of harmful CO2 emissions, thereby helping to create a better future for our planet. A wave power park consists of several power-generating WaveEL buoys linked together in an optimized pattern. 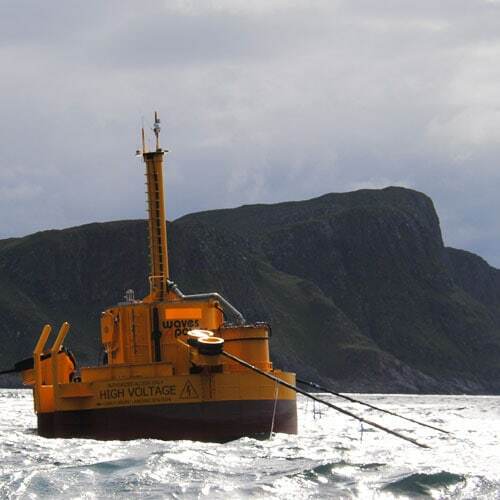 The power park is connected to the energy-user on shore or offshore via a connection hub and sea cable. Waves4Power has secured cooperation with strategic partners covering all important present and future development areas. 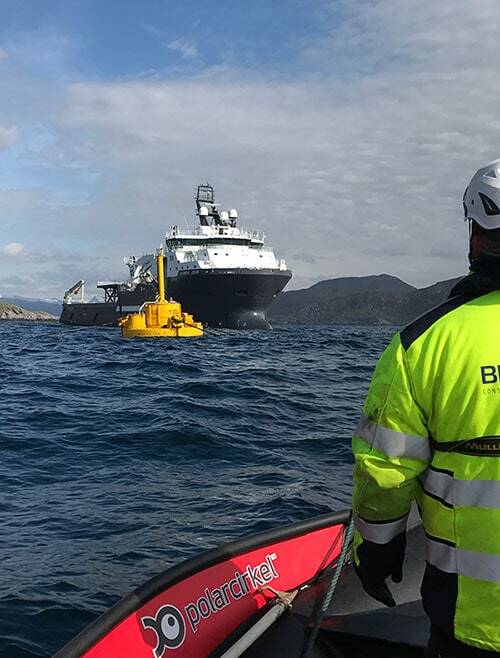 The WaveEL demonstration at the Runde site in Norway is proof of concept for the Waves4Power system. 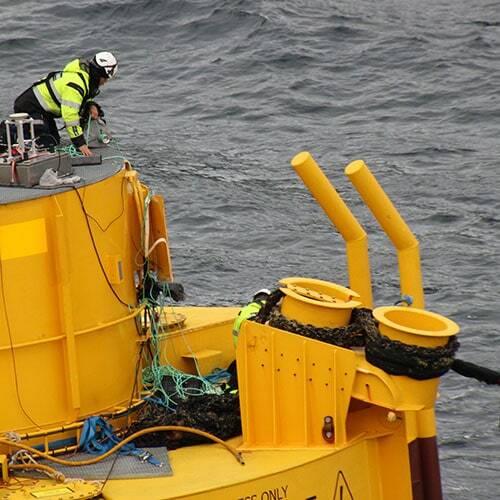 One week after launching in 2016, the buoy was exposed to waves with a height of 14 meters at the site, and the system produced exemplary performance. The system has since proved survivability for over 12,000 hours between February 2016 until November 2017, including 4000 hours of full-scale system functional testing. 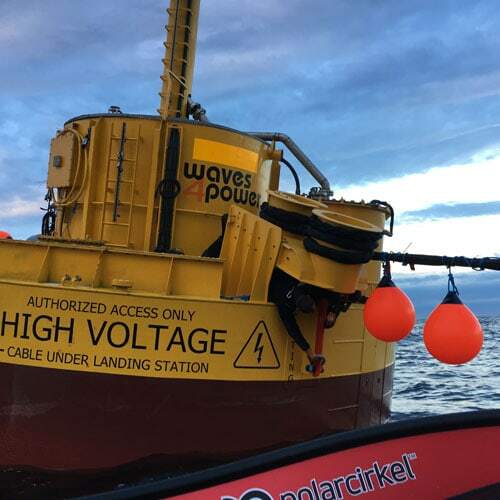 After the festive opening of the Runde site on September 21, 2017, Waves4Power entered its next stage. The development of the W4P Next Generation is well on its way. 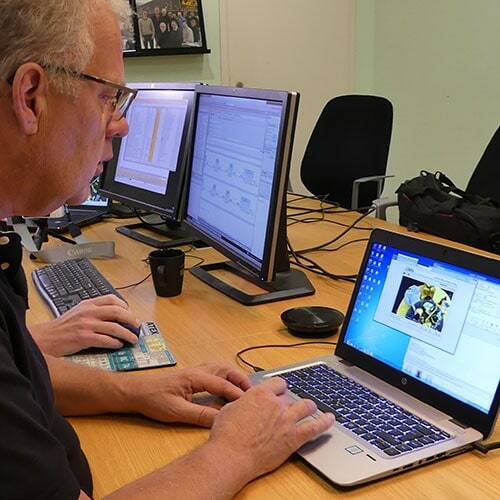 We are now focusing on reinstalling an updated demo system at the Runde site. Soon after, we will concentrate our resources on the development and installation of the first in a row of commercial wave power plants. The first such installation is estimated in 2020-2021. Waves4Power has effectively secured continued cooperation with strategic partners covering all important present and future development areas. 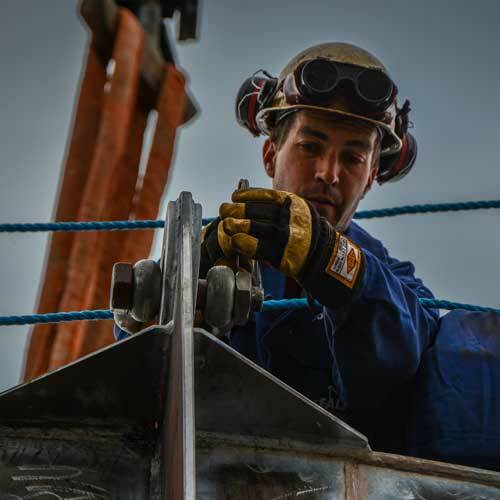 Passion – we believe in what we are doing and stand behind the values of our work. Well Being – everyone involved should benefit from our operations especially the global environment. Down-to-Earth – concepts focusing on functionality simplicity and total economy.